The hotel staff were amazing and everyone was so polite and helpful. The hotel itself had a lot of amenities and was not on the strip but close enough that it was easy to commute especially since the tram station was at the hotel. Everything was good.. only thing was our room was a littler warmer then we would of wanted like the ac was not cooling well..
Limited WiFi and limited breakfast compared to other places. Also, the services are too slow. Upgrade ASAP! Although it looks pretty the water never gets hot and the heater never works. Have stayed here many times in the past and have loved it but the building needs a massive structural upgrade. 1960's plumbing and ac/heating units just won't cut it. Aside, the staff is friendly for the most part and the property itself is very clean and pretty, love how they play off the history but for the sake of Elvis make some upgrades. City transportation was convenient. The pool bathroom where not well maintained. The valet parking and front desk staff were wonderful. The lobby entrance is elegant. The rooms are in need of attention. The Elvis rooms have lamps with crystals on the, which are missing quite a few. I suspect they’ve been stolen over time by guests. No coffee pot, no microwave, but there was a refrigerator. WiFi is $16/day unless you paid the lovely Las Vegas “resort fee”, which varies based on where you stay. But the front desk staff were exceptional and kind. They were worth any disappointment I had. Room was extremely noisey. Elevator sounded like a train or roller coaster in the room. There is no way, such a nice hotel should not have properly dampened the outside noise in their rooms. Also, I was in an upgraded signature room. We were assigned to a handicpaped room for no reason. The facility, furniture and decorations are too old. Westgate Las Vegas Resort & Casino places you within a 15-minute stroll of popular sights such as Las Vegas Convention Center and SLS Las Vegas Casino. This 2956-room, 4-star hotel welcomes business and leisure travelers with a full-service spa, a casino, and 10 restaurants. Relish the American cuisine at Edge Steakhouse, one of 10 onsite restaurants. Savor a meal from the comfort of your room with room service, or get a quick energy boost at the 2 coffee shops/cafés. Buffet breakfast is offered for a fee each morning from 6:00 AM to 1:00 PM. Guests can expect free WiFi and 60-inch an LED TV with pay movies. The bathroom offers hair dryers and free toiletries. Other standard amenities include a refrigerator, a safe, and a phone. 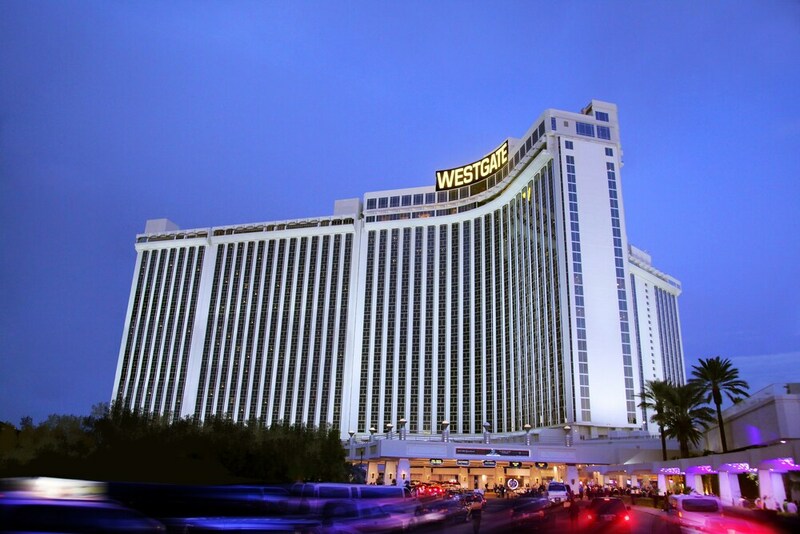 Guests of Westgate Las Vegas Resort & Casino have access to a full-service spa, a casino, and an outdoor pool. Free valet and self parking are available, and there's also limo/town car service. Multilingual staff at the 24-hour front desk can assist with tours or tickets, securing valuables, and dry cleaning/laundry. Other amenities at this spa hotel include a spa tub, outdoor tennis courts, and WiFi in public areas. Buffet breakfast is served daily from 6:00 AM to 1:00 PM for a fee. Edge Steakhouse - Restaurant and bar specializing in American cuisine. Open select days for dinner. Benihana - Theme restaurant and bar specializing in Japanese cuisine. Open daily for dinner. Sids Cafe - Restaurant specializing in American cuisine. Open daily for breakfast, lunch, and dinner. Silk Road Noodle - Restaurant specializing in Asian cuisine. Open daily for lunch and dinner. The hotel has an outdoor pool and a spa tub. Other recreation options include outdoor tennis courts.